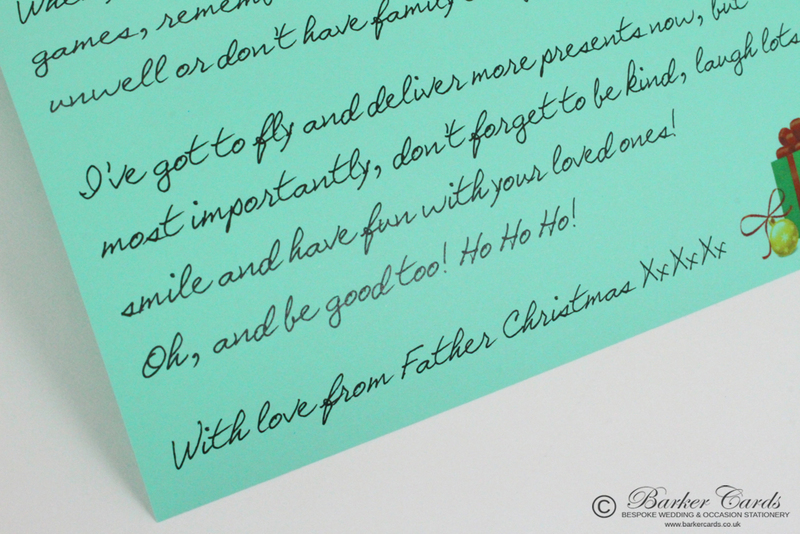 Our Personalised Father Christmas Letters are so realistic that your child will believe Father Christmas really has written to them! The letter will include your child's name to make it very special. When it's neatly rolled into a scroll and fastened with a special satin Christmas ribbon, and placed in their Christmas stocking. The excitement on your child's face on Christmas morning will be priceless as they discover their very own letter, rolled into a neat little scroll, just poking out of the top of their Christmas stocking. 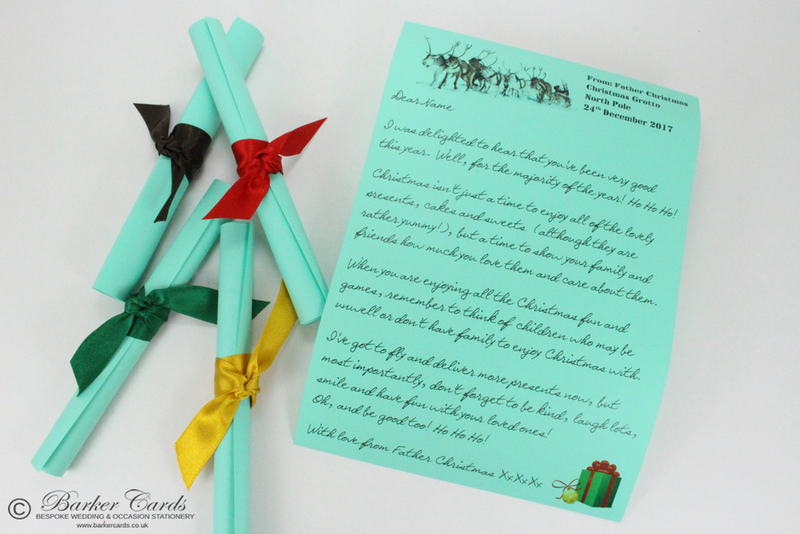 Just imagine how they'll be bursting with anticipation as they untie the silky ribbon on Christmas morning, to see that Father Christmas has taken the time to write to them! Please remember to tell us your child's name and choice of ribbon colour when you place your order!